Outline: Most of Seagate’s NAS drives are aimed at business users, but its new Seagate Central drive is very much designed for use in the home. It jumps into the media server or NAS drive fray along with players such as Apple, Roku, Google and more. See what being one of the top hard drive makers in the world brings to your home theater in this review. The dramatic rise in popularity of digital media files and the dramatic fall of hard-drive costs have inspired many AV fans to assemble their own media servers, using a combination of a network attached storage (NAS) drive and some form of media management application that runs on their computers, handheld devices, and/or networkable AV gear – be it iTunes, PLEX, XBMC, and so on and so forth. Some hard drive manufacturers have wisely asked the question: do we really need the middleman? Why not design an external NAS drive with integrated media management to appeal to the home entertainment crowd. That’s exactly what Seagate has done with the new Seagate Central external hard drive. The drive itself is a single-bay design in configurations of 2TB ($149.99), 3TB ($179.99), or 4TB ($219.99). Seagate sent me the 4TB version (official model number STCG4000100) for review. The Seagate Central has a home-theater-friendly form that resembles a small source component. Measuring roughly 8.5 inches long by 5.5 deep by 1.75 high, it’s a little bigger than the average streaming media player and a little smaller than the average Blu-ray player. The plastic front face has a brushed charcoal finish and sports nothing but a Seagate logo, while the back panel offers three ports: power, Ethernet (10/1000), and USB (2.0). Physical setup involves nothing more than connecting the Seagate drive via Ethernet to your router or switch and powering up the device. It takes about two minutes for the drive’s top-panel LED to glow solid green, indicating that initial startup is complete. From there, the rest of the setup process takes place on your computer. The Seagate Central is compatible with both Mac and Windows operating systems, and the setup page provides clear instructions for each path. Naturally, you can set up the Seagate Central to perform automatic backups of the computers on your network. For Mac users like me, the device works directly through Time Capsule; all I had to do was go into my Time Capsule preferences and change the backup disc from my usual Time Machine to the Seagate Central. It was a no-brainer. The focus of this review, though, is on Seagate’s media management tools, and the first step to managing your media is to get your media files onto the drive. The Seagate Central is a DLNA-compatible server; the drive has default folders in place for Videos, Music, and Photos, with sample content in each. Seagate recommends you hardwire your computer to the router via Ethernet to transfer media files for the speediest and most reliable results. I dropped about 20GB’s worth of movies (MP4) and a lot of home videos (MOV and MP4) into the Videos folder, as well as a ton of personal photos (JPG) and my entire iTunes content folder (about 75GB). It took less than two hours to transfer everything. Of course, I was nowhere close to using up the full 4TB of storage at my disposal. If you’ve amassed a large collection of high-definition movies and/or high-resolution music, then the transfer process will be a lengthier one. The media files reside in a Public folder on the Seagate server that can be accessed by any DLNA-compatible players on the same network. 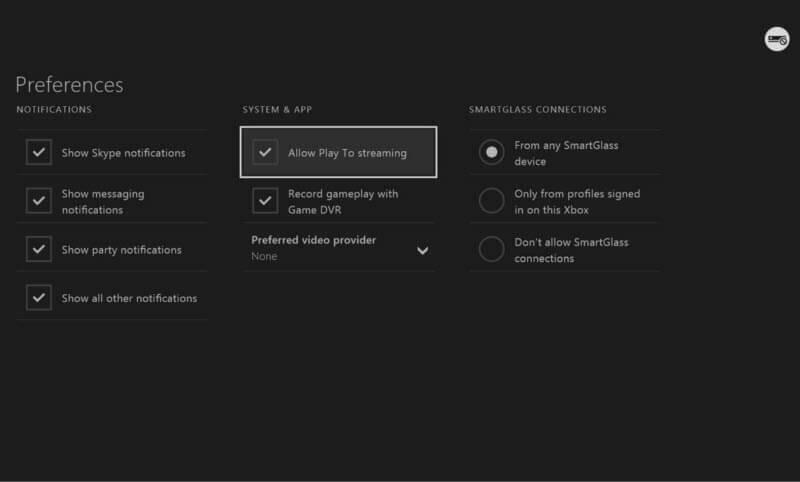 Pretty much every new “smart” HDTV and Blu-ray player has built-in DLNA playback support, as do many streaming media players. A vast array of DLNA apps are available for your smartphone or tablet so that you can stream content from the server to your handheld device. I generally use Samsung’s AllShare app on my Galaxy tablet, and I had no trouble connecting to the Seagate Central and accessing files for seamless playback. The Seagate Central has the ability to stream most major file types, including MP4, M4V, MKV, AVI, WMV, OGG, MP3, M4A, WMA, AIFF, WAV, and FLAC. However, playback support is ultimately dictated by the playback device. For instance, my Android tablet could not play back any of the MOV files or iTunes-purchased TV shows in my collection, whereas my iPhone 4 could. Beyond simply offering a DLNA server, Seagate has gone the extra step of designing its own free media app for both iOS and Android, called Seagate Media. I downloaded the iOS app to my iPhone 5S and the Android app to my Galaxy tablet. Both apps immediately detected the Seagate server I had set up and allowed me to access the files. The interface is straightforward and simple enough to navigate, although there’s nothing especially eye-catching or noteworthy about its appearance. Content is divided into Videos, Music, Photos, Documents, and Recent; you can choose to organize files by title, size, date, and type. Music can be sorted by playlist, songs, albums, artists, and genre. You can also do a general Folder view, where you can browse the content folders exactly as you transferred them to the Seagate Central. One major perk is that the iOS app includes built-in AirPlay support, so you can easily use your handheld device like a remote to cue up content off the Seagate server and send it to an AirPlay-enabled receiver, speaker, or Apple TV. One thing I didn’t get by using the Seagate app over my iPhone’s Music app was my iTunes music playlists, but then again, the Seagate app integrates all your media into one app, which is nice. Remote access is also available, so that you can access all of your content when you’re outside of your home network, via either WiFi or a cellular network. The Seagate Central’s remote access is available via any web browser or directly through the Seagate Media app. This requires a couple of extra steps during setup to create a user name and password, and you must enable the function within the iOS/Android app before you can use it. Once I enabled it, I had no trouble accessing my library through both my phone and tablet when I was away from the house. The Seagate Central is very easy to set up, and the Seagate website’s Support area has a lot of helpful tutorials. The server is Mac and Windows-friendly. This is a DLNA-compliant server, so you can stream content to any playback device on your home network that has DLNA support. Seagate offers its own media app for Android and iOS. The iOS app has built-in AirPlay support. Samsung has also added the app directly to its smart TV platform, so you can access the server via your Samsung smart TV or Blu-ray player. In addition to the Public shared folder, you can create individual private folders that requite a name and password to access … for all those, ahem, personal videos that you may not want everyone to be able to see. You can set it up to automatically archive your Facebook photos and videos; any time you upload a photo or video directly to Facebook, it will get archived. The device’s form factor and quiet operation are very home theater-friendly. The Seagate Central is enabled by default to work with iTunes, allowing you to view the server’s content through the iTunes interface on your computer. Just make sure that you have enabled “Shared Libraries” on the general iTunes preferences page. When using Remote Access through both WiFi and my cellular network, I could not stream videos; I had to download them to the device to play them back. I was able to stream music and photos, though. The Seagate Media app’s interface gets the job done, but its design is pretty vanilla. Some of the icons within both the iOS and Android app are a bit too small and cryptic. This is a basic single-drive NAS device without RAID to provide advanced data protection. I normally use a two-piece solution that includes an Apple Time Capsule for computer backups (which runs $299 for 2TB and $399 for 3TB) and an old Mac laptop running iTunes for media management. The one-box Seagate approach is cleaner, less expensive, and compatible with a wider array of systems. There are certainly a ton of NAS drives out there from which to choose; in my research for this piece, I came across this article in PC World that compares the Seagate Central with several other media-centric NAS drives: the Buffalo Technology LinkStation Live, the LaCie CloudBox, and the Western Digital MyBook Live. A seemingly endless number of permutations and combinations can lead you to a DIY media server solution. The question is: how advanced do you need the system to be? The Seagate Central’s small form, quiet operation, integrated DLNA support, and (especially) easy setup and use make it a very good choice for the home entertainment fan who just wants a simple way to store files and play them back on a wide variety of devices. It’s well-suited to both the Mac and PC user, and to both iOS and Android devices. I still can’t get over how inexpensive it is to get an external hard drive these days; for $220, you can pick up a 4TB Seagate Central that offers plenty of storage for your huge library of high-definition movies and music … plus an easy interface to manage it all. ← How to Watch 2K/4K, HD and Common Videos and Movies on any Kids Tablets? How to Put and Play DVD onto Xbox One without any region code restrictions? How to view QIF files on your Android device? Although you mention Buffalo as an alternative, I most definitely would not recommend them. We have several Buffalo NAS drives where I work and they have been nothing but trouble. I also have had a Buffalo drive which I used for a couple of years before it failed. Luckily it was not the drives which failed but rather the ethernet controller so I was able to rescue the content. I replaced it with a Synology NAS drive, which is wonderfully configurable, but is difficult to set up.